Rockman Corner readers Mike A, Jimb0, and terminal_velocity report sightings at GameStops along the west coast, a location in Chicago, and Salem, Oregon. At this time the figure isn't listed on GameStop's site or their Mega Man 11 hub. My best advice is to call your GameStop and see if they have it in-stock. Save yourself the trip, you know? And if you really don't mind the wait, BBTS continue to take pre-orders. Thanks to everyone who sent in a tip! The figure looks good, would definitely buy of I wasnt broke. 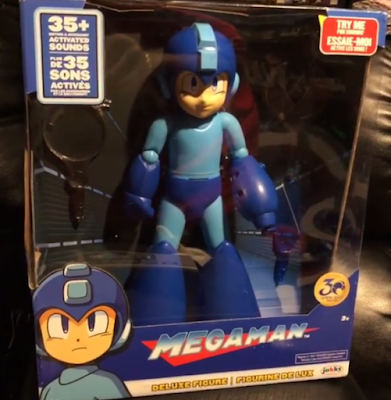 I hope the plastic on this sucker doesn't turn green like the Jazwares Megaman figures.